For once, I’m changing subjects*. Instead of talking about how passionately in love I am with Toronto, I’m going to do a little educating about the beauty of my home state; yeah, you know the one — the Great State of Texas! As I’ve lamented time and time again, Texas doesn’t really have seasons like other parts of North America. The beginning of Spring in Texas, though, marks a change in season unlike any other; the arrival of Spring brings some of the prettiest bursts of color you’ll see anywhere in the world. 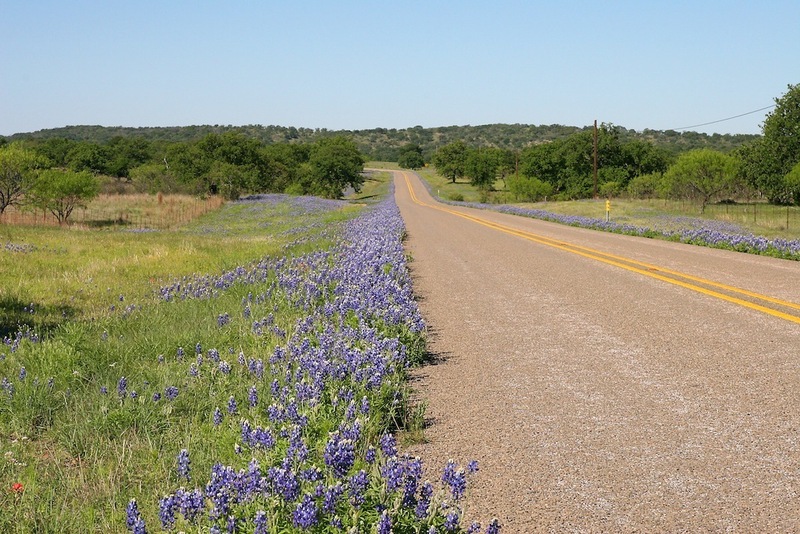 Between March and May, the interstates in central Texas turn into virtual seas of blue and red wildflowers with an abundance of blooming Texas Bluebonnets (the state flower), Indian Paintbrushes, and Indian Blankets. 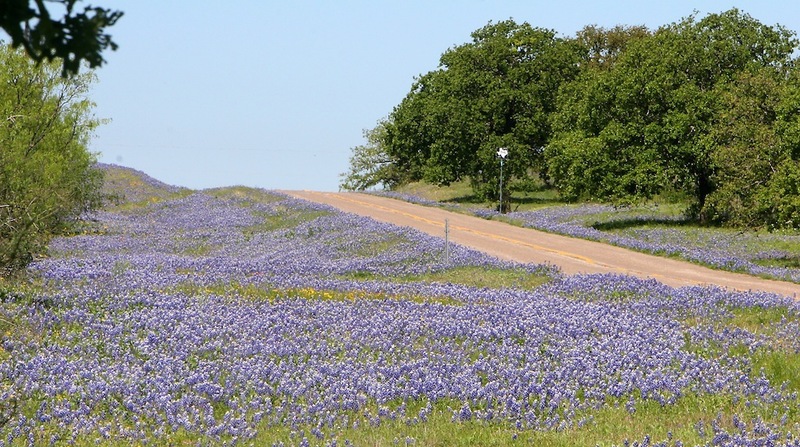 Bluebonnets are so legendary in Texas, that, other than the Alamo and deer hunting, the thing you absolutely cannot miss is driving the Bluebonnet Trail through central Texas. 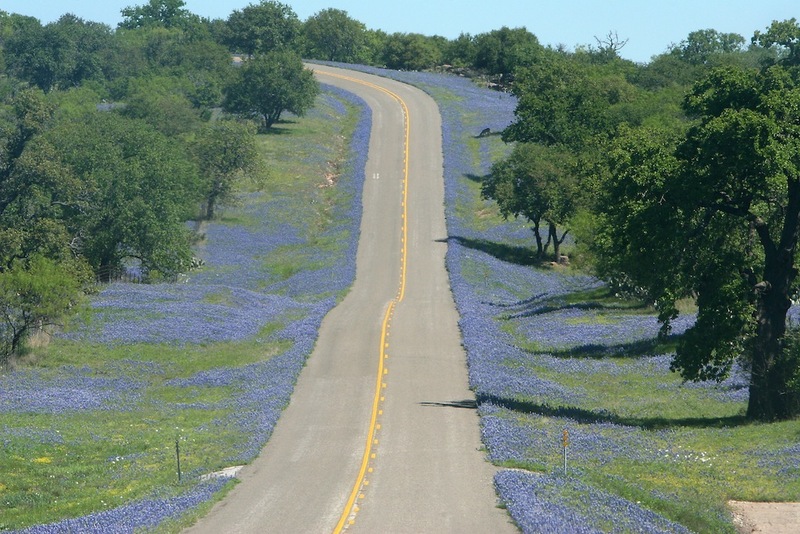 In fact, it is a right of passage in Texas to take a “Sunday drive” through the Texas Hill Country to have your picture taken lying in an ocean of blue. I would post some of the photos of me doing just that, but the last time I went on this type of road trip was well before the earth cooled, by which I mean there is no digital proof**. Ahem. The bluebonnet became the state flower of Texas in 1901. 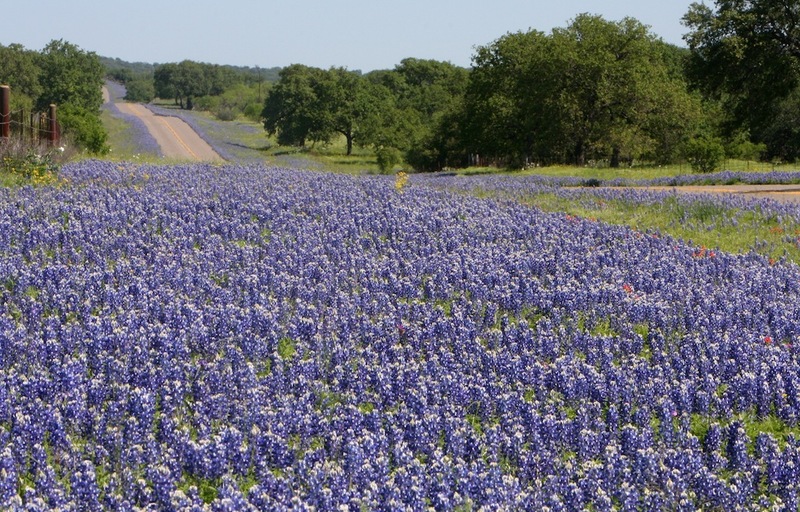 It wasn’t until Lady Bird Johnson returned to Texas from Washington DC, though, that the government of the State of Texas was persuaded to seed bluebonnets along highways throughout the state. The notion that she’s responsible for the gorgeousness along our highways was so ingrained in us in school, that when I see bluebonnets, I think of Lady Bird to this day. It was also ingrained in us that it is illegal to pick a bluebonnet lest you spend a year of your life in jail for wanting some color*** in your house. Alas, that is apparently NOT true according to Wikipedia, and I know Wikipedia would never, ever lie about something like this. The moral of the story is to pick away, but just don’t park your Ford F-90,000 illegally on the highway because THAT will get you thrown in jail, flowers in tow. 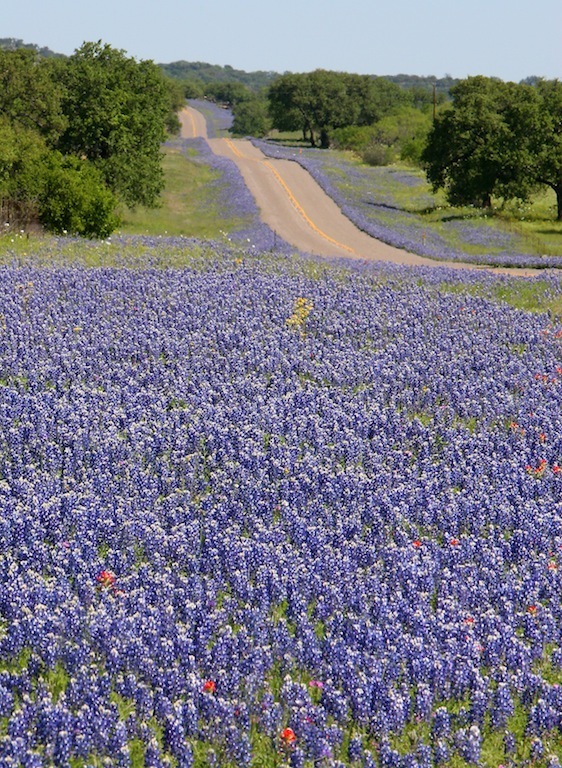 I’m going home for a special someone’s special birthday in a couple of weeks and I hope I get to feast my eyes on the loveliness that are Texas Bluebonnets, for as much as I love Toronto, there’s nothing like driving down a Texas highway and seeing miles and miles and miles of blue. ** Just physical proof. As in actual photos, which is likely crammed inside some box in my parents’ attic. *** Yes, I’m spelling it the American way. Because this is an article about Texas. Also, see bullet one above. ^ Photos are courtesy of a friend of my family’s, who doesn’t need to be named, but knows who she is. Toronto The Good. No, Really. I was parked in a parking lot one day last week and grabbing some stuff from the backseat of my car, when another car pulled up next to me. The driver rolled down her window and asked if I knew where the new Winners* was located. I didn’t, but I’d seen a billboard in the area saying that Winners had, in fact, moved. All I could remember was that it said the store was now located on Laird Drive…the same street we were on. I said to the lady “oh yes, I saw a sign that they moved somewhere on Laird, but I haven’t seen anything around”. We laughed about it, she drove off, and I went inside the store. I was standing in line at the PetSmart counter to return my items** when, what to my wondering eyes should appear, but the lady who had just stopped me in the parking lot — and she was walking straight towards me. I thought to myself “surely she came back in to pick up some dog food, or some cat litter, or to shoot me or something”, but, alas, no. She marched right up to me and said “I wanted to let you know that I found the Winners; it’s at Laird and blah blah blah***. Then she turned around and walked right out the store! I stood there in shock. I think my mouth actually dropped open a tiny bit. I actually don’t remember where she said the store was because I couldn’t believe what had actually just happened! Had this woman really driven off, found Winners, turned around, parked her car, gone inside Petsmart, and found me just to tell me where Winners was?! I mean, who does that?! I’ll tell you who — Torontonians the Good, that’s who. ** I bought my foster cat a super soft, super fluffy $24 cat bed that she literally never touched. 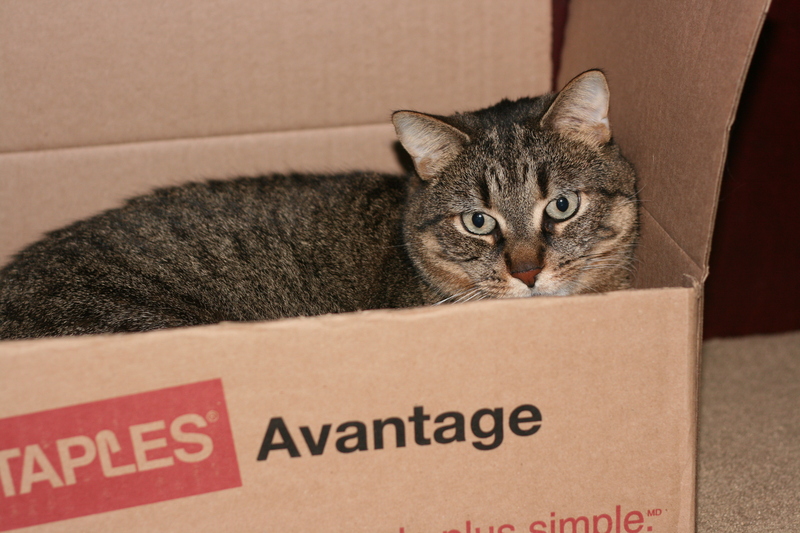 Tonight, I brought home a box top — you know, the kind that pops off of a paper box — that was FREE, incidentally, and she won’t get out of it. Go figure. Anyway, I was returning the cat bed to PetSmart which is where the incident occurred. *** Like I said, I couldn’t get to the new Winners if I wanted to because I didn’t hear anything the woman said. Either that or I’m finally losing my hearing. 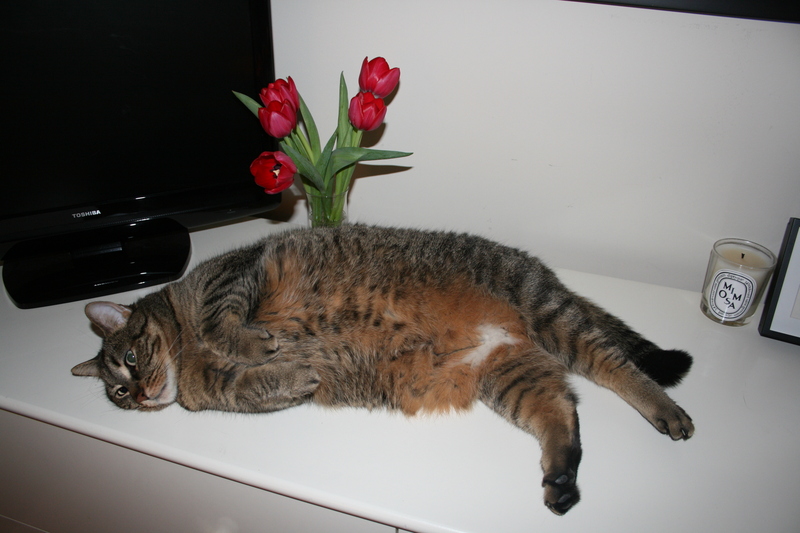 Over the weekend, I googled a cat question that was something to the effect of “why do cats flick their tails” (yeah, I got a cat. I might get around to blogging about it before 2012 when the world ends. Anyway.). 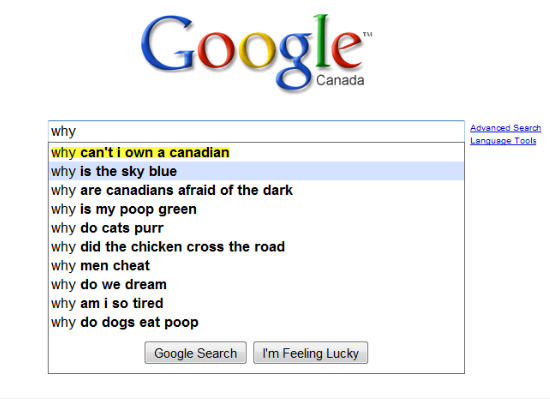 When I keyed in the word “why”, the first thing that came up was “Why can’t I own a Canadian?”. After I pulled myself up off the floor from laughing hysterically, I thought to myself “you know, why can’t I own a Canadian”? Is it against the law? 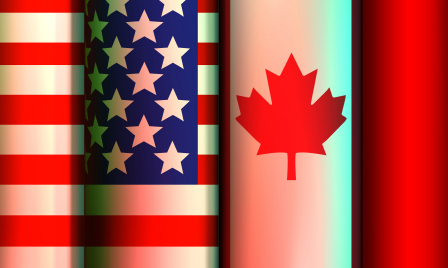 Can an American not own foreign property? Do you have to say “zed” before they’ll allow you to own a Canadian? 😉 The answer to this question confounds me. Not to mention that, technically, I already own a Canadian. 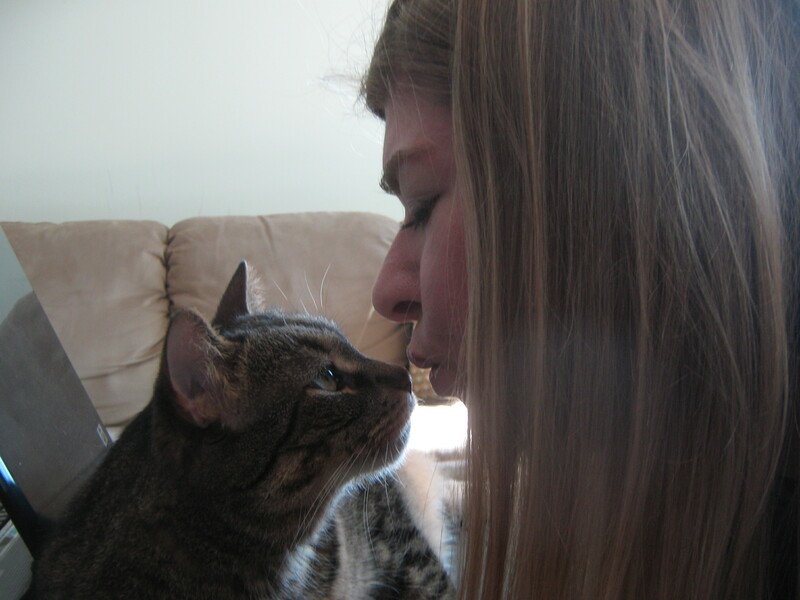 A feline Canadian, but a Canadian nonetheless. There were some other great questions that came up, such as the third one: “why are Canadians afraid of the dark”, and, of course my personal favourite: “why is my poop green?”. Keep in mind that these are *actual* questions people asked the interwebs. Wow. I didn’t gro w up going to Farmers’ Markets. There aren’t many in Houston and the ones that are there are quite small. In fact, I didn’t go to my first farmers market until I moved to Toronto. It seems that every neighbourhood in the city has its own farmers market with all kinds of locally grown produce. Those markets, though, are dwarfed by the mother of all farmers markets — Toronto’s legendary St. Lawrence Market. The St. Lawrence Market is a complex made up of three buildings, including the North Market, which was established in 1803 (!) and is known primarily for its Saturday Farmers’ Market where producers from across southern Ontario sell their wares seasonally; on Sundays, the North Market turns in to a giant antiques fair. The South Market, and the larger of the two, has more than 50 specialty shops selling everything from rare French cheeses to Moroccan candies to olive bars into which I’d like to dive. I never really got into the habit of going to the Market on Saturday like so many of my friends. Rather, I got into the habit of going to Loblaws on my way home from work on Fridays, so I didn’t have to deal with the crazy grocery store masses on the weekend — you know, like strollers the size of Hummers packed with screaming triplets and lines wrapped through the store. Anyway. With the invention of my Toronto Bucket List, though, I decided I needed to spend a Saturday morning roaming through the St. Lawrence Market. 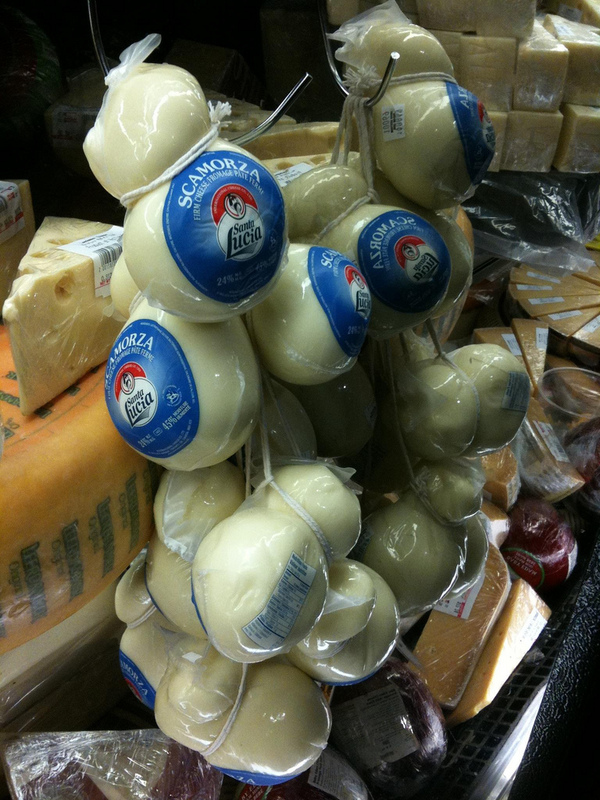 I saw so many delectable, delightful goodies that my eyes nearly popped out of my head. I can’t list every store I went into simply because I pay by the inch* and it would be cost prohibitive. 🙂 Some of my favourites, though, were Kozlik’s Canadian Mustard (honey and lime mustard FTW), Scheffler’s Deli & Cheese (where they sell hanging cheese! ), Everyday Gourmet (for delicious, delicious coffees and teas), and Di Liso’s Fine Meats, where I snagged 4 pounds of extra lean ground steak for $12. Sweet. 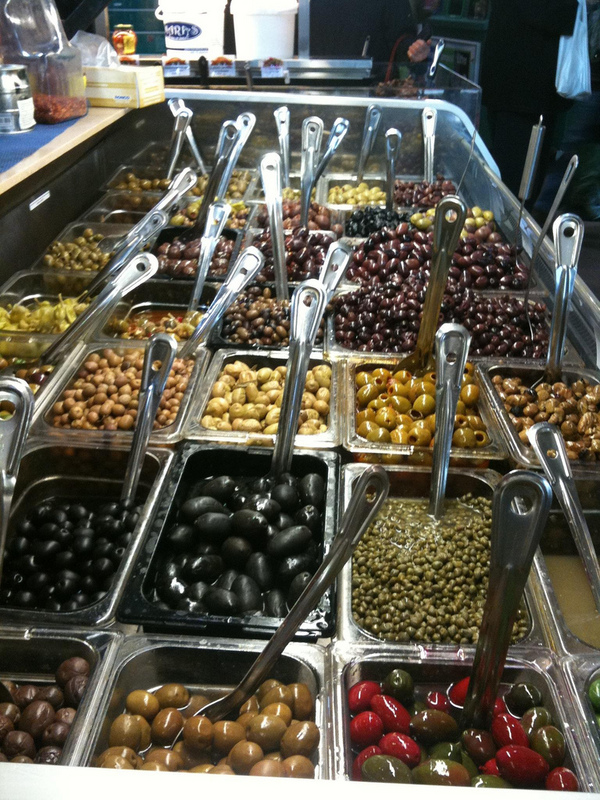 I have a serious addiction to olives, and I saw an olive bar so vast that my eyes welled up with tears. The Carousel Bakery, a Toronto institution, is also inside the Market and sells its “world famous peameal bacon sandwich” in droves — people were literally snaked through the market standing in line to buy a sandwich. I tried one, of course, but not being a huge fan of “back bacon”, or peameal bacon, I didn’t really care for it. Apparently, I’m the only one, though, so don’t listen to me. The St. Lawrence Market is the world’s largest indoor farmers market and it’s been right in my own backyard all this time. I’m sad I didn’t take advantage of it sooner than I did, but better late than never. Reason # 54,912 to love Toronto. P.S. Check out a few photos I took while at the SLM.